Preschoolers are learning so much and growing so fast that it can be hard to keep up. Here are some fact sheets to help you stay on top of and support toddlers’ development and learning! Click on the links below to read the fact sheets related to each topic. Find out what is going on in terms of development and look ahead to the future. You can also learn how to find out if a preschooler is on track and how to support him or her if some extra help is needed. 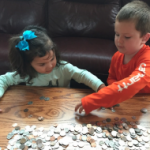 It is never too early to teach children how to be responsible about money. 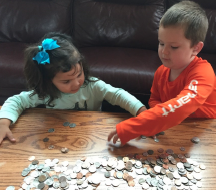 Plus experiences with money give children a real life opportunity to learn about numbers and math, something that is very important as they enter Kindergarten. 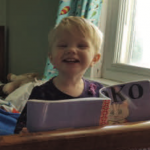 Learning how to communicate by talking, writing, and reading is a major task of the preschool years and is extremely important for children’s future success in school. Use our tips and fun activities to encourage these skills right now in toddlers. Preschoolers are building skills to help them succeed in school every day. 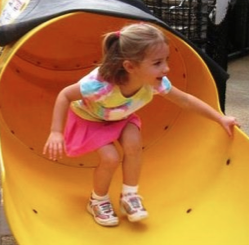 Playing, exploring the world around them, and observing cause and effect all prepare toddlers for the tasks of school.